If you’re angry about the National Security Agency’s unconstitutional mass surveillance programs, you’re not alone. This summer — thanks to Edward Snowden’s leaks — we have new confirmation that the NSA has abused the Patriot Act to justify mass spying programs. EFF has been battling NSA surveillance in court for most of a decade, but it could still be years before the Supreme Court hears our case. We can’t wait that long to end suspicionless mass spying. So we’re taking the fight to Washington, DC, andwe’re asking friends and members of EFF to join us. On October 26th — the Patriot Act’s 12th anniversary — EFF is joining the StopWatching.Us coalition in a rally against mass surveillance in DC. We’ll be joined by security experts like Bruce Schneier, NSA whistleblowers like Thomas Drake, and staff members from EFF. 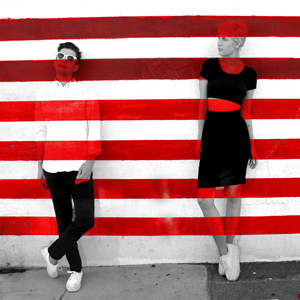 There will also be artists and musicians, including the indie-pop band YACHT (pictured right). Your presence will help show Washington that NSA mass spying needs to stop. We have buses scheduled from Baltimore, New York, and Philadelphia to help you get there. ?Learn more about getting to the rally. The day before the rally, we’re holding a citizen lobby day on Capitol Hill. We’ll teach you everything you need to know in the morning, and in the afternoon you and other concerned individuals will meet with key staffers in Congress. ?Sign up for the lobby day here. On Friday night, meet up with EFF for drinks and discussion at the Science Club in Dupont Circle. ?RSVP here. If you can’t make it to the rally, please donate to help us promote the event. EFF is working with documentary filmmaker Brian Knappenberger — writer and director ofWe Are Legion?– on a series of short videos exploring NSA surveillance. We’re going to put these videos out right before the rally, but we need your support to finish making them. Please?donate today?to help us showcase the problems of NSA surveillance. 1. if you prefer, you can also RSVP directly to EFF?here.